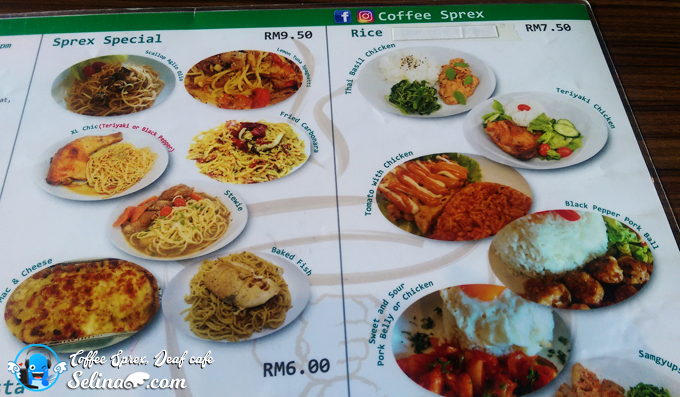 Coffee Sprex become bigger after Mr. Kent, Deaf chef who launched his own small cafe on last 2013 year. 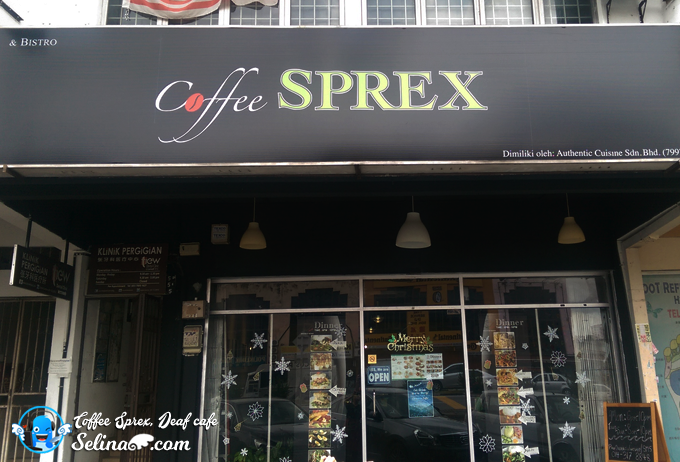 I remember that Coffee Sprex used to operated in a small space, like the half of shop only. Please read my previous post - click link here. 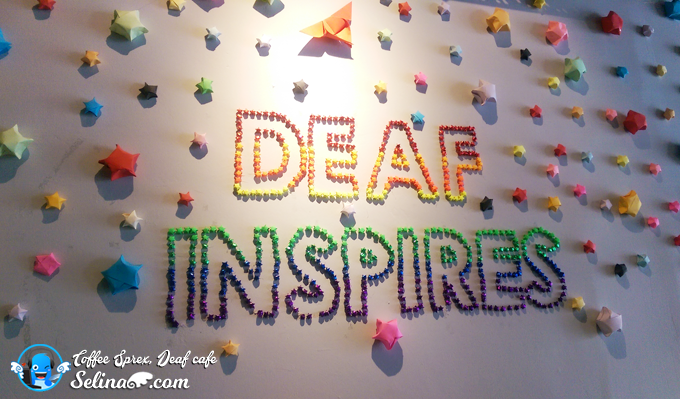 Today, Mr Kent is Deaf owner who managed this cafe, with the Deaf waitress, who hired by him too. I surprised that he come to Kuala Lumpur to seek his learning of career as Chef on his own since he is from his hometown, Perak but, he love to stay here so he opened his cafe, Coffee Sprex! 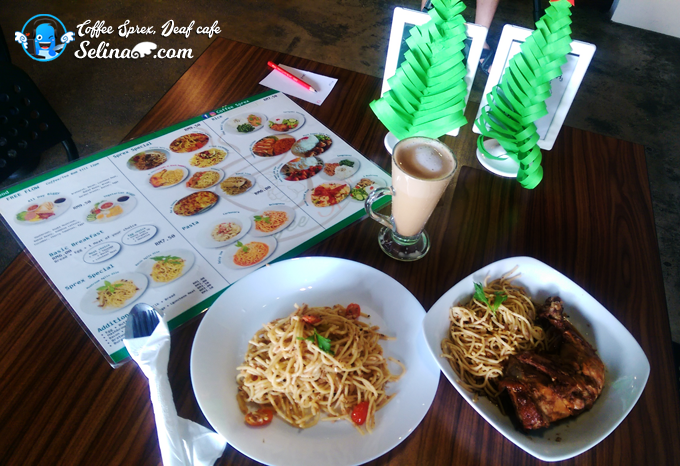 After 6 years, my family and I went to make the video and photo shoot for the Deaf project at Coffee Sprex, just near to the LRT station in Kelana Jaya. He is very welcoming us to enjoy their delicious food and drink there! He become Deaf chef because he really love to cook so much, that is why he want to use his passion to open his business cafe in the hearing world. He struggled to do many things to manage his own cafe so not easy. Lukcy, he get his support from his family, mentors, and friends, especially Deaf community Malaysia too. He is very happy to get the big space so better since his business become improved so much! His strong passion make him keep his cafe be alive until now! Thumb up! They also do the beautiful colorful of origami at the wall, so good! It make many people like to take this best photo! How to communicate with Deaf waitress? No worries! They just give a pen and menu paper to you only. You just pass this paper to them, easy. Wow, all prices on the menu are cheap so affordable! 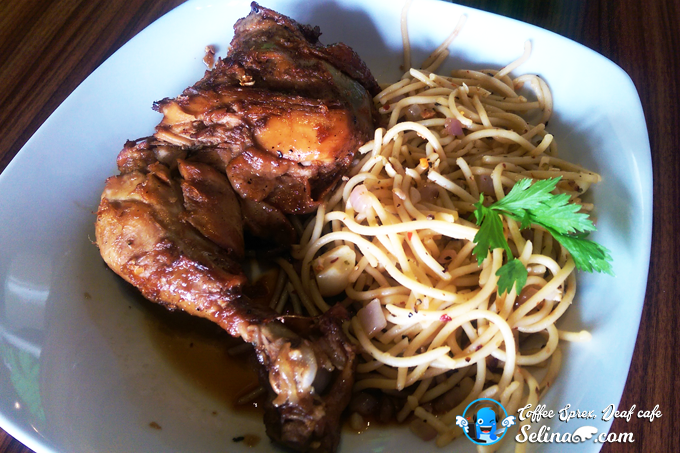 Around RM 6.00 - RM7.50 only! Not bad. I ordered the XL Chic (Teriyaki). I liked a big chicken so sweet! It is very high recommended! If you want to make an order for their food delivery or party business or birthday, you can call them at 014-317 8848 or email them at coffeesprex@gmail.com.